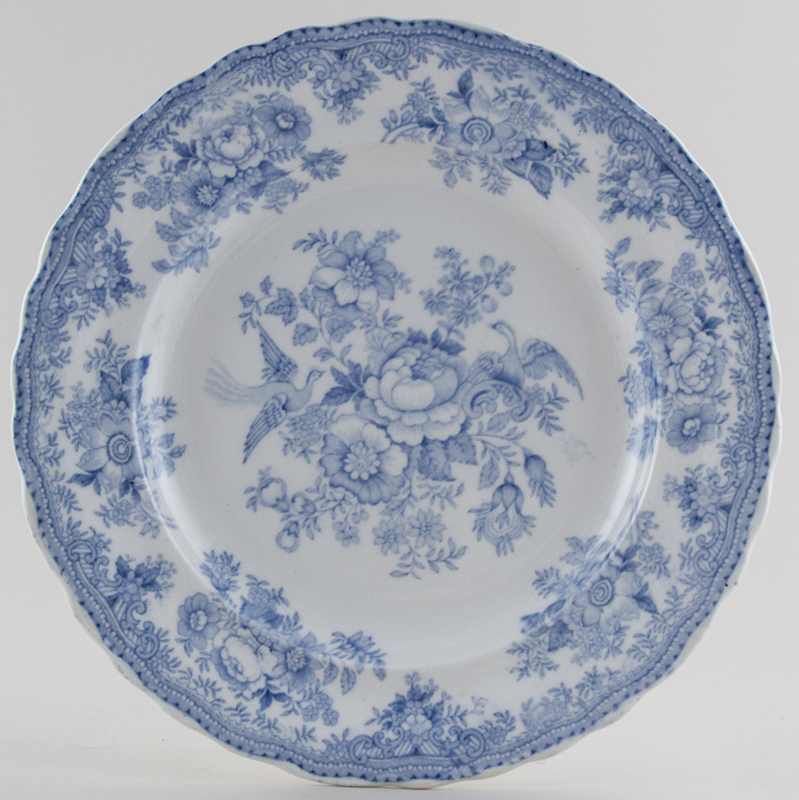 Gorgeous plates with wavy rim. Backstamp: Asiatic Pheasants S Hancock & Sons. Light all over crazing with a little minor wear to the outer rim, otherwise excellent condition.